High Floor prewar condo 1-bedroom with amazing open southern views in prime Upper West Side neighborhood, one block from Central Park. 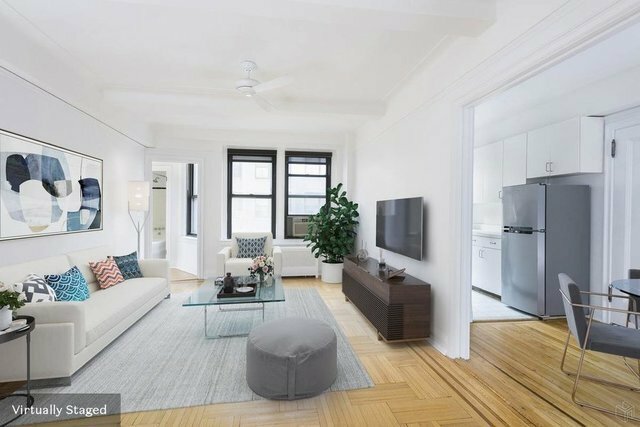 This spacious apartment features many prewar details, including archways and inlaid wood floors, many deep closets, a separate dining area and a windowed eat-in kitchen with stainless appliances. The windowed bathroom and hallway flood the apartment with sunlight. W/D permitted. 110 West 86th is a pet-friendly, full-time doorman building, designed by famed architect Emery Roth. Don't miss this one.